With technology fast becoming, arguably, the most important aspect of a business, it is essential that we protect our data, and understand how we can identify and manage potential cyber-attacks that are becoming more prevalent in business each day. It was, therefore, a pleasure for us to collaborate with Op de Beeck & Worth, in organising a seminar for members and guests to raise awareness of the risks involved in the digital world. Op de Beeck & Worth have been providing their clients with advice and expertise on insurance for over 40 years, making them one of the most consolidated businesses and respected Insurance Brokers in the Costa-Del-Sol and Spain. Having formed established relationships with Europe’s leading insurers, they have built up a wealth of experience in the insurance industry. 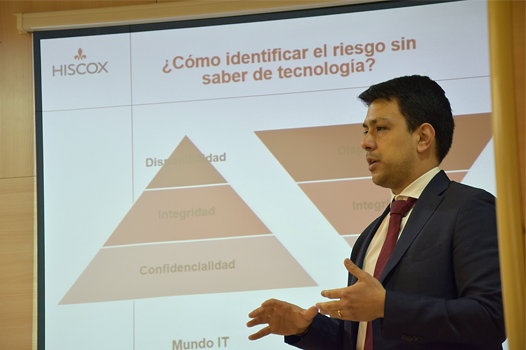 One of these relationships has led them to become the lead brokers for Hiscox España, part of the global Hiscox Group, a diversified international insurance group, offering advice and support to businesses across the world. Both Op de Beeck Worth and Hiscox view Cyber-Risk and Insurance of paramount importance, and strive to provide information and support to their clients on the serious threats to business operating in the cyber world. 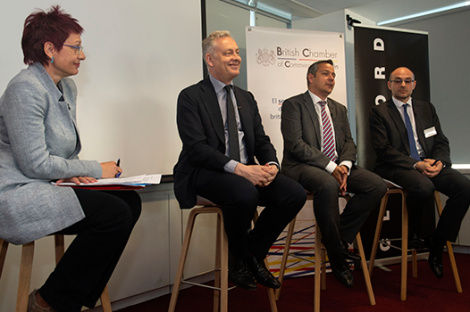 During the seminar, members and guests were treated to an informative and stimulating presentation from Alan Abreu Gonzalez, Cyber Practice Leader at Hiscox España, followed by a Q&A, involving Patrick Op de Beeck and Danni Worth, Partners at Op de Beeck & Worth, and Derek A. Langley, Regional Vice-President of the British Chamber of Commerce in Spain. Following this, guests enjoyed a wonderfully catered networking session, in which our members were able to meet new contacts and build relationships, whilst also discussing key aspects of cyber-security. All of us at the Chamber would like to thank Danni, Patrick, and all those at Op de Beeck & Worth for their effort and support in organising this event, and to Alan Abreu Gonzalez for giving a presentation of such vital importance at this time.